MOSCOW, April 20. /TASS/. No representatives of the Organization for the Prohibition of Chemical Weapons (OPCW) visited Syria’s Khan Shaykhun where an alleged chemical attack took place, so the origin of samples the OPCW claims to have is unclear, said Russian Defense Ministry Spokesman Major General Igor Konashenkov. OPCW Director General Ahmet Uzumcu said earlier that sarin gas or a sarin-like substance had been used in the chemical weapons attack in Khan Shaykhun. He added that "the analytical results already obtained are incontrovertible." According to Konashenkov, "in the past two weeks, not a single OPCW representative was seen there." "Where do these samples come from? 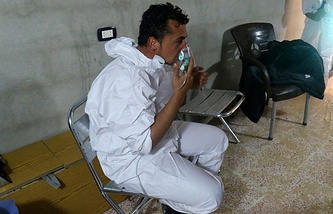 Who of the OPCW members was able to study them so fast while standard procedures stipulate a complex research which requires time, as we can see in the case of mustard gas use in Aleppo," Konashenkov said. The Russian Defense Ministry wants the Organization for the Prohibition of Chemical Weapons to explain how members of the White Helmets (an organization positioning itself as a human rights campaigner - TASS) managed to stay unharmed by sarin in Khan Shaykhun, Defense Ministry spokesman said. "If it is true that sarin was used in Khan Shaykhun, how can the OPCW then account for the fact the charlatans from the White Helmets organization were hustling and bustling inside sarin clouds with no protective gear on? Everybody could see that. Ahmed Uzumcu should provide comprehensible answers to these questions as soon as possible," Konashenkov said. "Although independent experts do not believe that anyone could have remained unharmed in a sarin gas attack, nevertheless, maybe Mr. Uzumcu has created his own periodic table of elements instead of Mendeleev’s one?" Konashenkov added. The Russian defense ministry spokesman pointed out that the OPCW had been founded as an impartial and responsible international organization. "This is why the statements and conclusions that this organization makes should be based on scientific methods instead of being politically motivated," the Russian general said. "Moreover, any experts should have an opportunity to check these statements and conclusions," Konashenkov added. He said that only an impartial investigation on the scene could help figure out what had really happened in Khan Khaykhun as well as "establish those responsible." The Russian defense ministry spokesman went on to say that the OPCW had been unable to provide an opinion on the use of mustard gas in Aleppo for four months while it took the organization very little time to come to a conclusion on the Khan Shaykhun incident. "Four months later, the OPCW is still unable to deliver an opinion and recognize that the mustard gas found in Aleppo was really mustard gas, citing the need for additional research. However, as for Khan Shaykhun, everything become clear immediately to Mr. Uzumcu," Konashenkov said. He pointed out that in late 2016, Russian experts recorded a mustard gas attack carried out by militants in Aleppo. "Russian experts went to the scene and collected samples of the poisonous substance, which were later handed over to the OPCW. At the time, the Syrian authorities insisted the OPCW experts should visit the country and expressed readiness to ensure their security but no one came," the Russian General noted. 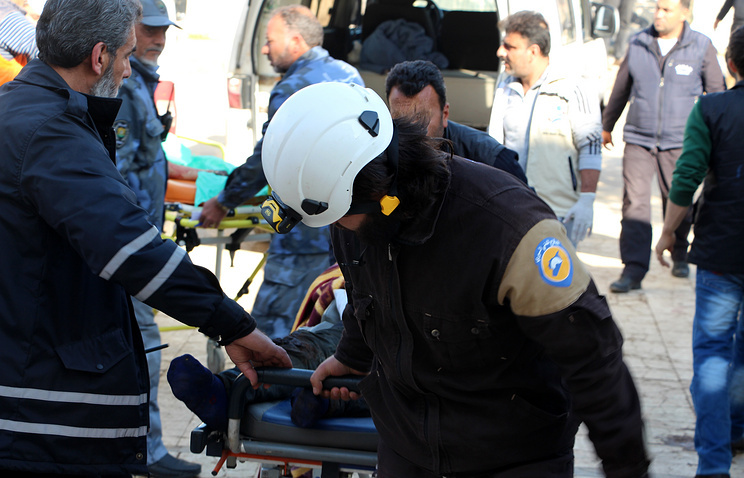 The alleged chemical weapons incident in the town of Khan Shaykhun, the Idlib Governorate, occurred on April 4. According to the Russian Defense Ministry, on that day the Syrian air force delivered airstrikes on several militant facilities where munitions filled with poisonous substances were being made. However, Washington came to the conclusion that Damascus had used chemical weapons which led the US to carry out a missile attack on the Syrian military’s Shayrat air base located in the Homs Governorate on April 7, as the US believes that the attack on Khan Shaykhun was launched from there.